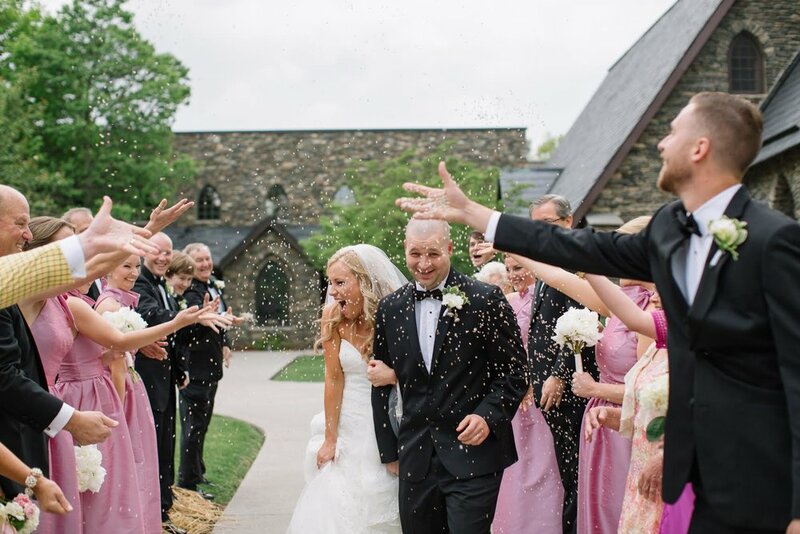 The Whole Shebang Events Featured in Southern Living Weddings!!! 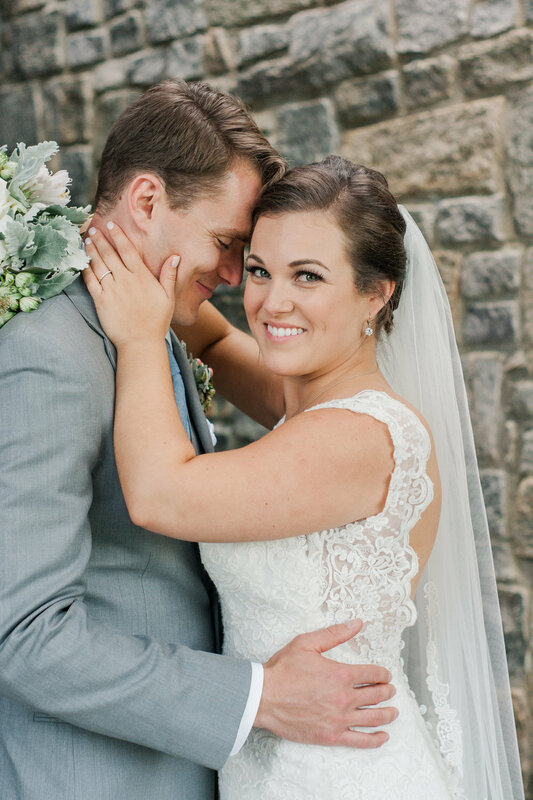 Be sure to pick up your copy of Southern Living Weddings on news stands January 6th to see Erin and Brad Hankin's gorgeous wedding at the Allandale Mansion in Kingsport Tennessee. and watch the sunset - best view in the "High Country". for Coffee!!! Check out the outdoorsy sundries at Footsloggers below.
. Rods are provided and bait and tackle are free! You only pay for what you catch... and they'll even clean 'em for ya. Can't beat that! but there are several other runs as well...depending on how high the water is.
. There's a nice flat walking loop around the lake that's .8 miles. There are also other trails to take once you get there. that has found its home there. (Moses Cone was a "prosperous textile entrepreneur, conservationist, and philanthropist"...in a nutshell). If you want to drive up to the home instead of walking it's mile post 194.1 off of the Parkway. 9. Music on the Lawn at the Inn at Ragged Gardens on Fridays from May-October. - If you have kids it's a no brainer. What's more fun than a "wild west" theme park. Tweetsie is open May-October. , a local and visitor favorite tucked away between Boone and Blowing Rock on Shulls Mill road. The eclectic mountain cuisine on their seasonal menu has just about any kind of wild game you can think of. There are vegetarian selections as well. It's sure to be a dining experience that you will remember. if you have kids...it's hard to explain so just go and see for yourself what the mystery is. (highest peak east of the Mississippi). open Memorial Day till Labor Day. It is heated and it’s typically pretty crowed during mid day so after 4 is your best bet for peace and quiet. They do have a shallow end for the little ones and a slide. outlet mall located on 321 as you're coming into Blowing Rock (from Boone). There is great shopping to be had in Downtown Blowing Rock and King Street in Boone. for a deli sandwich and a bottle of wine. (with someone who lives here) it's only two dollars. in Boone will keep them entertained for hours! and have a current fishing license. going on; from student concerts and plays to acts that they bring in like symphony's and dance concerts.
. ASU has an amazing team. There were 3 years in recent history that they were were the National champs! is open to the public. in Boone always have fun things to do with kids. in the summers is always fun in Blowing Rock if you don't mind the crowd.
. It's tucked away on a side street...get directions, but you can't beat the atmosphere. They have a unique menu with a wide range of selections and pricing. You can go all out with their unique entrees or just get a personal wood fired oven pizza and a salad. Whatever is on special is always good. in West Jefferson. If you don't have discs of your own, you really just need a putter, mid-range and driver to get started. snow tubing park in Seven Devils. Ps. They do Zip Tours in the summer. Also in the summer, Sugar Mountain lets you go up the Ski Lift and check out the view. next door and watch your friends climb...best coffee in town in my opinion. on 421 is free and open to the public. is located about 40 minutes from Boone just over the Tennessee line. There are a wide range of water activities to choose from at one of their many marinas. 37. In the summer's there's tons of free music in the High Country. 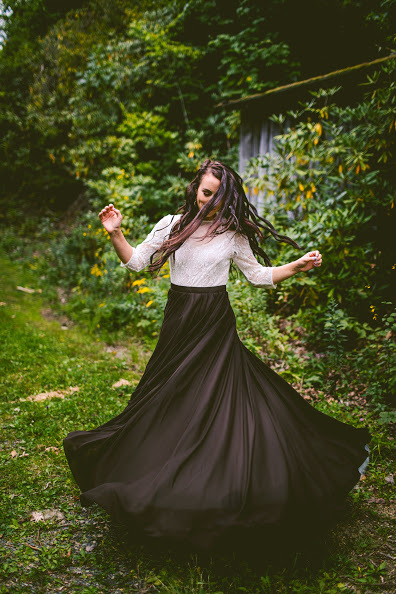 My favorites are Friday nights at the Valle Crucis Park or on the Lawn of the Best Cellar in Blowing Rock. 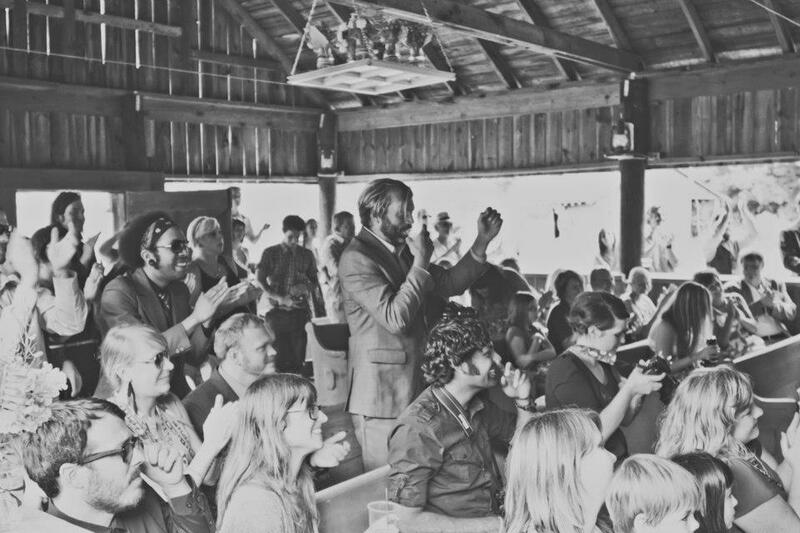 BYOB for Valle Crucis and there’s a full outdoor bar at the Best Cellar. - (an outdoor drama put on by locals and equity talent in the summer). ... It's like dinner at your Grandma's house on a Sunday. I'm not going to say any more about it, just go eat there!
. Picnic tables, live music, good BBQ also a kids menu. Try the house wings! For an entree I never get anything other than the chop pork plate with double slaw, fries and fried okra. (Full bar as well). , for an eclectic Beer and Wine selection. They also offer tastings. to see what's coming up. 44. Canoeing or Kayaking is a great way to spend a day in the summer. do guided tours for this as well as white water rafting. are great places to see live music on the weekends. Stick to Canyons if you want a slightly older crowd. 46. Can't forget to mention "
in Boone have fantastic Tacos on Wednesday as well.
. I'm too scared to so let me know how it is. if you want to relax treat yourself. in Boone. (If you go past Earthfare on King Street make a right onto Cherry Street and you should see signs. Amazing view of the city. on Saturdays in the summer. is definitely a moderate to strenuous but there's a big payoff at the end. The trail starts downtown Blowing Rock. in Boone...watch this video on it. in Boone offers guest membership. Included in the price are indoor basketball and racquetball courts, a pool, shower and locker facilities, child care for children over 6 months old, work out equipment and fitness classes. has trails, camping and canoeing and it's just outside of Blowing Rock down hwy 221.
has mountain biking, camping, hiking and backpacking trails and waterfalls.
. From what I understand if you do the whole trail it's moderate to strenuous and takes about 5 hours but you can also just do the beginning section if you want a more leisurely hike. in the area. Boone has one at Horn in the West on Wednesday and Saturday mornings and Blowing rock has one downtown from 4-6pm in the summers. at ASU. They bring in big names such as Lynyrd Skynyrd, Willie Nelson and Charlie Daniels. also has tennis and basketball courts and a mini rock wall, jungle gym and swing sets for the kids. Downtown check out their website for Exhibits and Special Programs. Sometimes they have activities for kids. 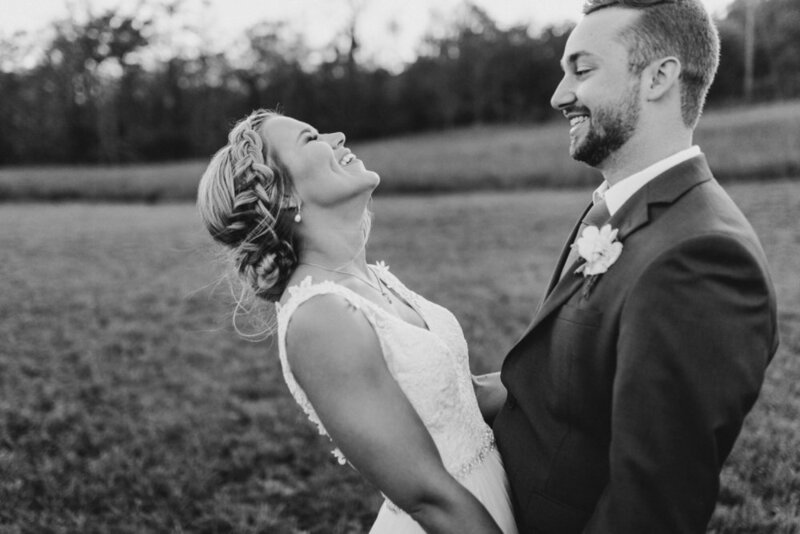 .Sugar Hollow Retreat is an amazing place to have a wedding if you want to have all of your guests stay together in a "camp like" atmosphere. Mark, Lana and their guests made a long weekend of it hiking, swimming, cooking out, playing music and getting to know each others families.
. The unassuming exterior both speaks of a simpler time in the mountains as well as the unique character of the foods and experiences found within it's walls. With reservations for six o'clock, we were able to be seated by a window to enjoy the lush beauty of the Blue Ridge Mountains. Upon entering the restaurant we were greeted by the Front of House Manager and local legend Angie Pate. She guided us to our table and introduced us to our waitress Sandi Priest. Sandi's menu knowledge was outstanding. She had great presentation at the table and was attentive without being intrusive. She explained dishes well and was very accommodating. 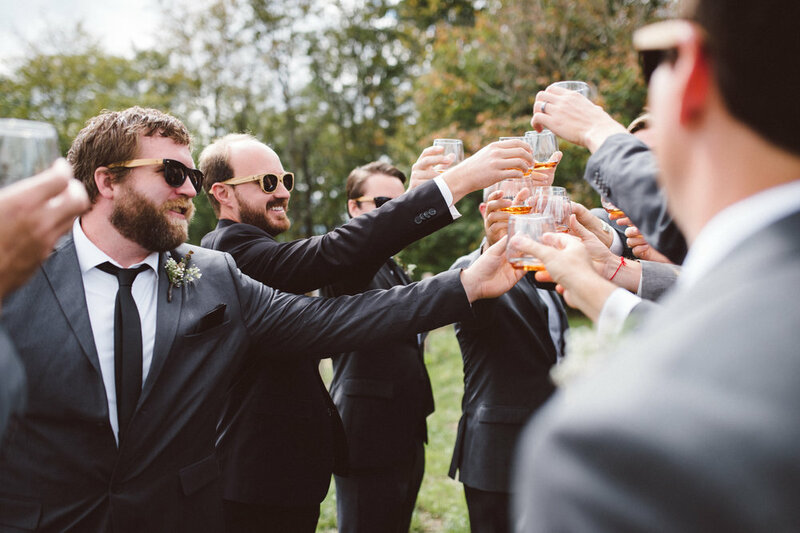 To begin our journey we were able to select a beverage from a wide range of wines, custom mixed drinks and beers. We opted for an Oatmeal Porter from Highland Brewery in Asheville and a Nutty Angel Martini that featured Stoli Vanilla, Frangelico, Bailey's, Buttershots and topped with a sprinkle of nutmeg created by bartender Evan Vernon. The drinks were followed in short order by a little surprise to our evening, an amuse-bouche. llow. It was a wonton with mushroom and cream cheese with Parmesan, ponzu sauce, four daubs of a fiery red hot sauce and baby arugula. Unfortunately, to list the basic parts does little to explain the culinary layers of this seemingly simple bite sized dish. The savory of the wonton, the sweet/sour/saltiness of the ponzu and the heat of the pepper sauce worked to activate the tastes and prepare us for the culinary adventure to follow. As you can see from the photo, the presentation was outstanding utilizing an edible bloom from outside the restaurant. of Boone with an oil, vinegar and black pepper presentation for dipping. We decided todive head first into the Mixed Grill appetizer. The plate arrived with a great selection of game and accompanying sauces. On this day's plate we found rabbit and rattlesnake sausage, buffalo bratwurst, and buffalo and ostrich medallions with a center stack of home fries. For dipping sauces we were offered a sun dried tomato BBQ, a sour cream and green onion horseradish sauce and a coarse ground honey mustard. The portions were substantial and could easily be shared among friends. The buffalo sausage was rich, bold and savory with a smoky finish while the lighter rabbit and rattlesnake sausage offered a mild sage flavor and a tender texture. If the flavors of these meats alone aren't enough, you can experiment combining their flavor profiles with the available sauces. We favored the rabbit and rattlesnake sausage with the coarse ground honey mustard and the buffalo bratwurst with the sour cream and green onion horseradish. The buffalo and ostrich portions of our appetizer were so enjoyable that we decided that we would keep enjoying these fine meats as entrees. We’ll save the description of these for the discussion of the main course. For those who decide to go another route for dinner, we found the buffalo paired wonderfully with the horseradish sauce and the coarse ground honey mustard brought out the flavors of the ostrich. organic vegetables including sugar snap peas, zucchini, squash, kale and beets. The ostrich was brought in from Hilltop Farms in Forsythe County and featured a roasted garlic risotto and sun dried tomato jus with the same vegetable selection as the buffalo. Before the entrees came we sought a beverage to help accent our dinner selections. Leaving the choice of wine to Sandi, we were suggested the Andeluna Malbec for the buffalo and the Villa San Juliette Petit Syrah with the ostrich. The buffalo itself was rich and as tender as one could imagine a cut of red meat. The seasoning was light and complimentary to the smoky flavor of the wood fired grill. The vegetables were grilled just long enough for flavor but not overcooked. The Mac and Cheese was savory but not over sauced and the consistency was firm. The blue cheese served as an accent flavor but did not overpower the dish. The thing that was the most intriguing about the spice rubbed ostrich was its exquisite texture. It lends itself more towards a red meat than a poultry. It's preparation over the wood fired grill added a touch of crisp on the outside to counter the tender medium rare interior. The risotto was another pleasant surprise on this plate. It was light and saucy and not laden with a heavy cream sauce. The vegetables were complimentary to the overall flavors of the plate. As you can see from the photos, the plate presentations utilized a nice three dimensional approach. It was a nice balance between using the available design space and ease of consumption. True to their name, a unique thing that stands out about the Gamekeeper is that the proteins are allowed to stand alone as the true focal points of the meal through their simplicity. The meats are not drenched in sauce, nor are they hidden behind a veil of strong flavored sides. The meats are selected well, spiced well, grilled well and presented well. The entire plate appears to be designed around that focus. The desert menu brought upon us a whole new realm of challenges. As mentioned by Sandi, The Gamekeeper is well know for it's Bread Pudding but we decided to go another route opted for the Turbo Coffee and the Pound Cake to polish off our evening. , Frangelico, Bailey's, Kahlua, Amaretto and topped with whipped cream. The dark chocolate and ginger pound Cake was topped with a warm chocolate sauce, almond brittle and Chantilly cream. The cake was pleasantly light in composure and not heavy as most pound cakes tend to be. Both items were thoroughly enjoyed and were a nice finish to an excellent dinner. There is not salt and pepper on the table thus conveying a trust in the chefs and their vision for the dinner. The food is cooked using a wood fired grill using apple wood and hickory conjuring up memories of cooking over a campfire. Local organic and sustainable ingredients are utilized and throughout. The interior design struck a personal note as a person who lived in the foothills and visited the area very often as a youth. It has a modernistic twist to the rustic mountain style of the area. It’s a nice mix of styles that does well to enhance the experience. Walking to our car we felt like we had run a culinary marathon. For us and many consumers, we associate an amazing dining experience as a sum of the parts. When the food, the presentation, the decor, the service, and the company all line up, we all as consumers enjoy an amazing dining event. On this night, this was definitely the case. A special thanks goes out to Chef Alec Schoberand our hosts for the evening, owners/chefs and all around great people Ken and Wendy Gordon. 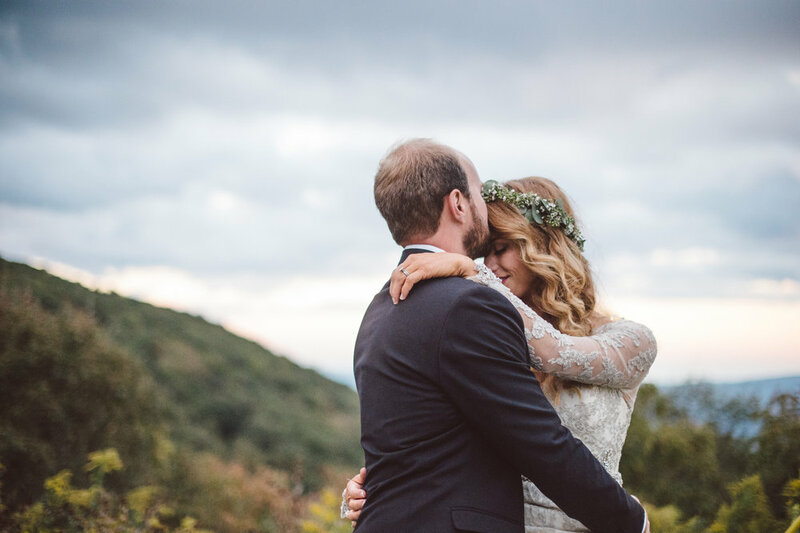 The Whole Shebang continually strives to help you create a one-of-a-kind, beautiful, and creative wedding in the beautiful Blue Ridge Mountains of North Carolina. 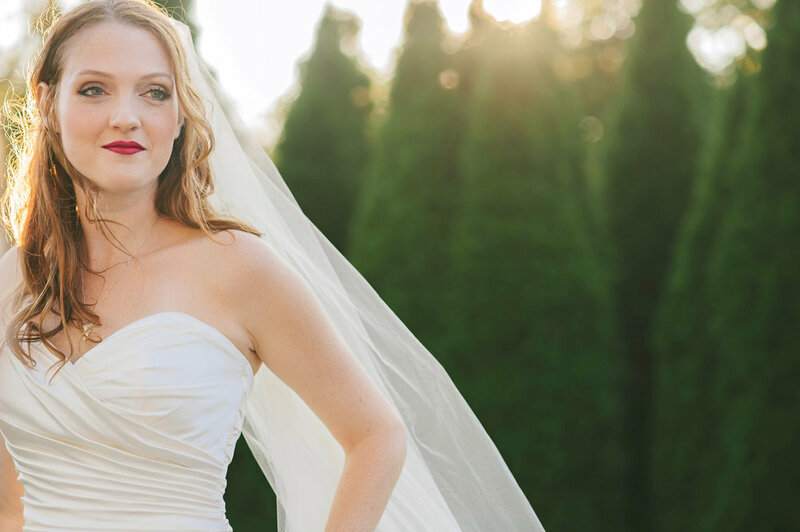 I absolutely love what I do and there is a real joy in the process of creating a relaxed and fun environment that allows a bride to create her own unique vision of a perfect wedding day. 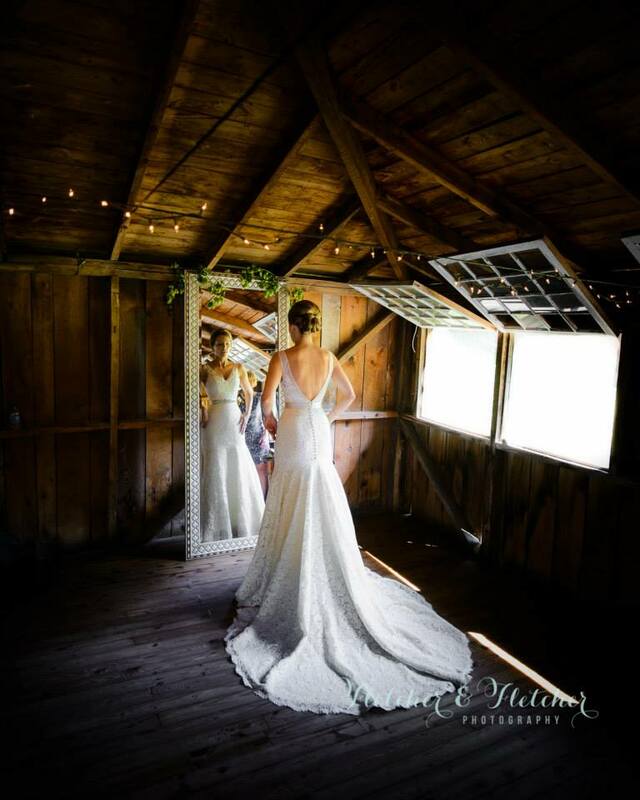 My job is to pull together every aspect of your vision and handle all of the details so that your wedding day is beautiful, memorable, stress-free, and uniquely YOURS! Whatever your dream, I will help you find innovative ways to make it happen, and guide you every step of the way. Born and raised along the coast in Southport, North Carolina, I'd always dreamed of living in the mountains. 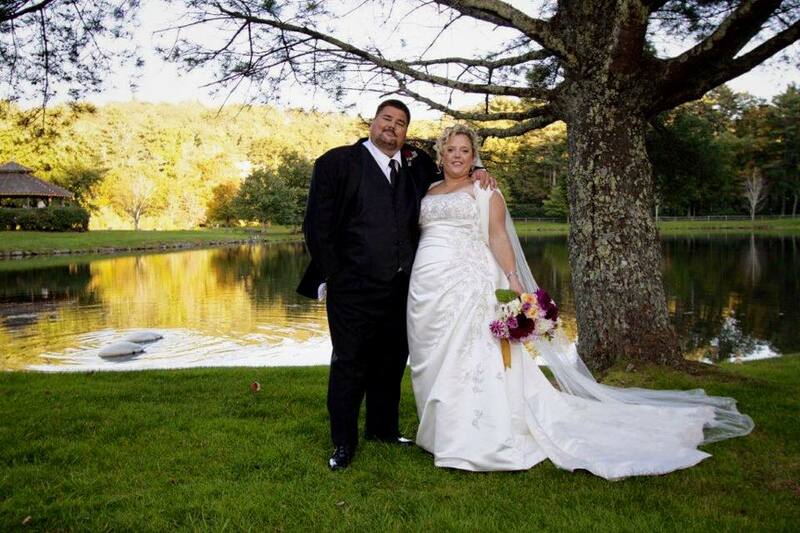 I found my way to the Blowing Rock area of the High Country in 2005 where I met my husband Paul and started a family. 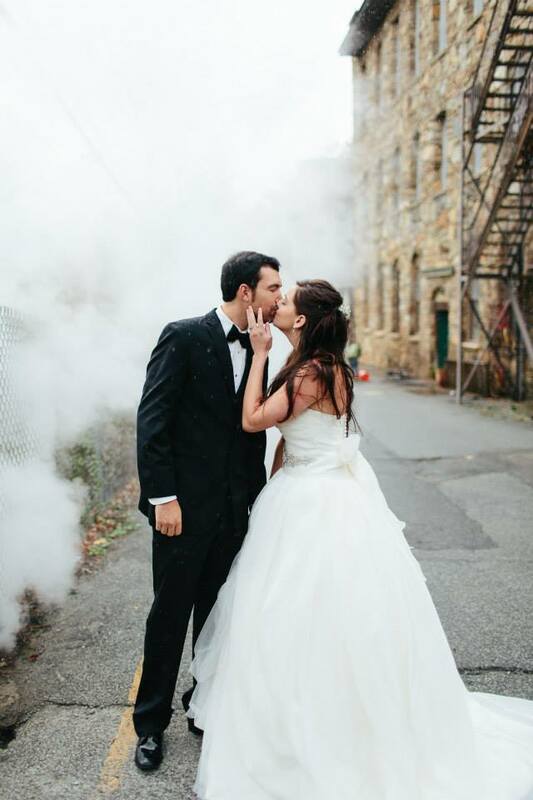 I have been involved in many aspects of the wedding industry, and was at the right place at the right time to make the leap to The Whole Shebang in 2009 when Cassandra Reed, the original owner, relocated to Virginia. 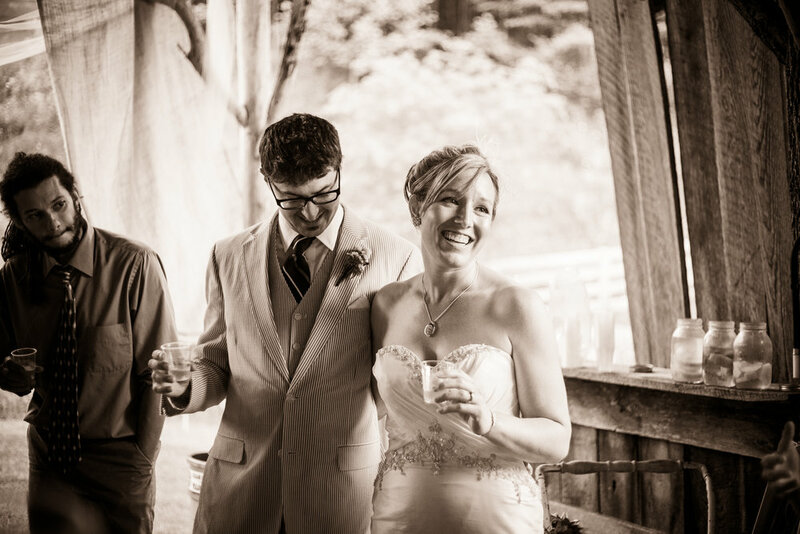 Many years in the service industry experience have given me a rock-solid work ethic and allowed me to forge relationships with many on the area's professionals, including some of the finest photographers, venue proprietors, designers, and entertainment specialists in the High Country. My love of the arts continues to be my driving force in creating a beautiful event regardless of size or scale. 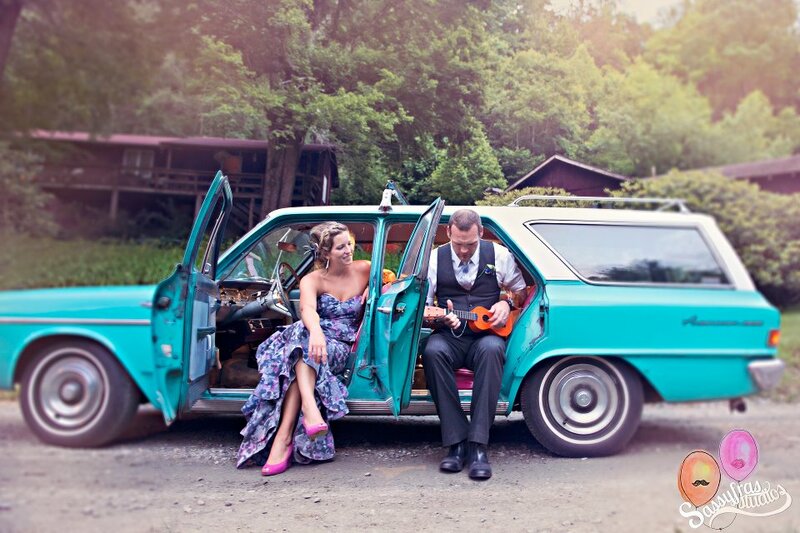 I love the common thread among brides who choose to get married in the mountains. Whether you live in the area, vacationed here growing up, or attended college, there is a deep-rooted connection with nature, the outdoors, and the beauty of the High Country. 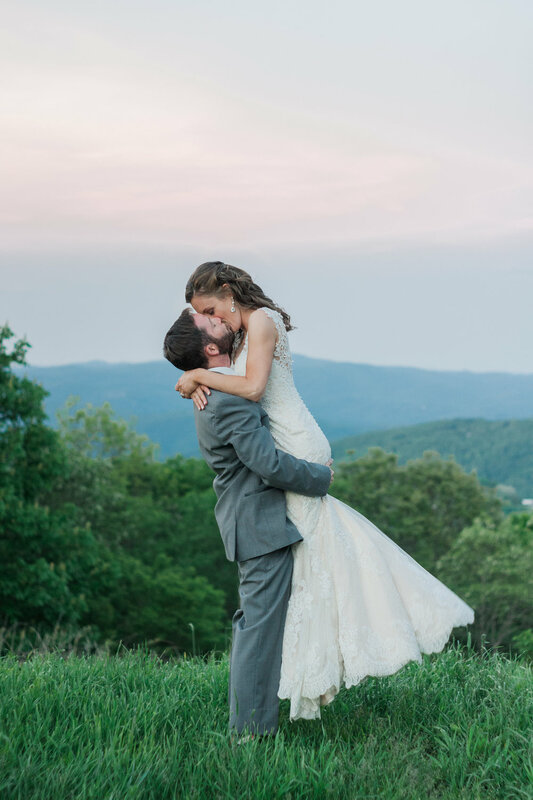 Whether it's the dream of a casual, rustic backyard BBQ, or a glamorous black tie affair, the one thing all of my brides seem to have in common is that they are creative, soulful, and eager to incorporate the majestic landscape of the Blue Ridge Mountains into the overall vision of their wedding day and share it with their closest friends and family. 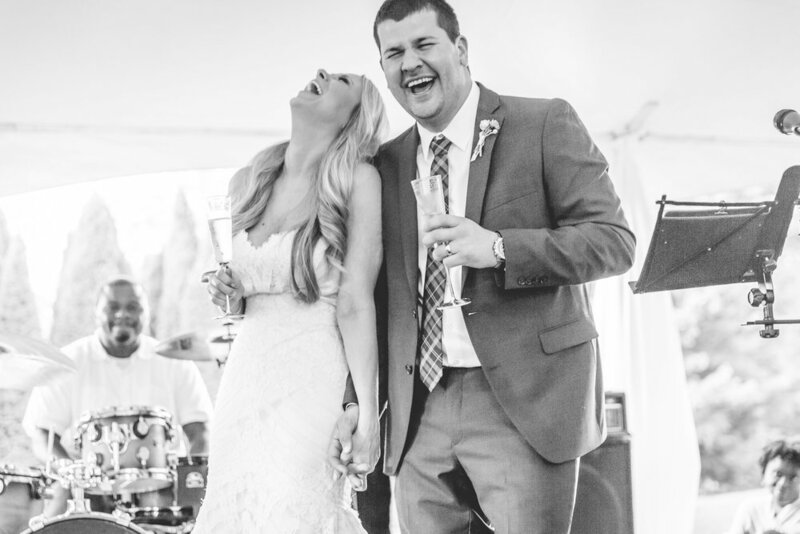 My favorite wedding moment is being able to stand back and watch the bride and groom... relaxed, dancing, enjoying their moment, surrounded by loved ones, and knowing that their dream of a perfect day had come to life. It is a such blessing to witness the love between two people starting a new life together. 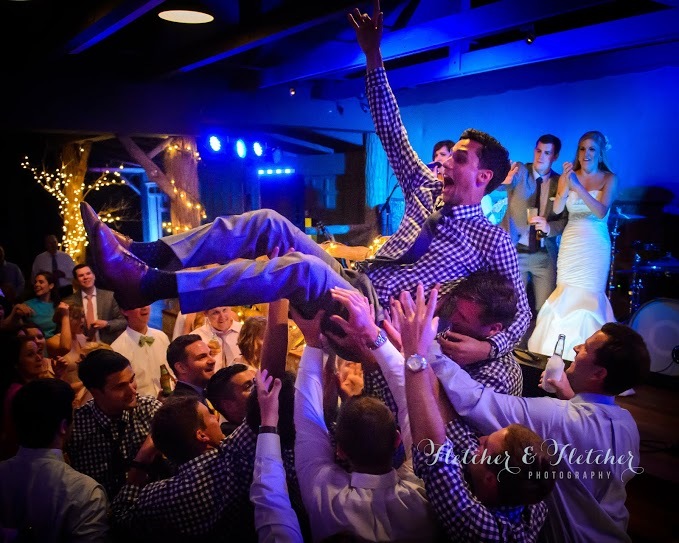 I invite you to take a look around, check out my blog, read reviews, and get a feel for the wedding planning services offered by the The Whole Shebang Events. Please feel free to contact me directly with any questions you might have. I look forward to hearing from you! Thanks so much for your interest and have a great day! Here’s a shout out to some of my favorite blogs! 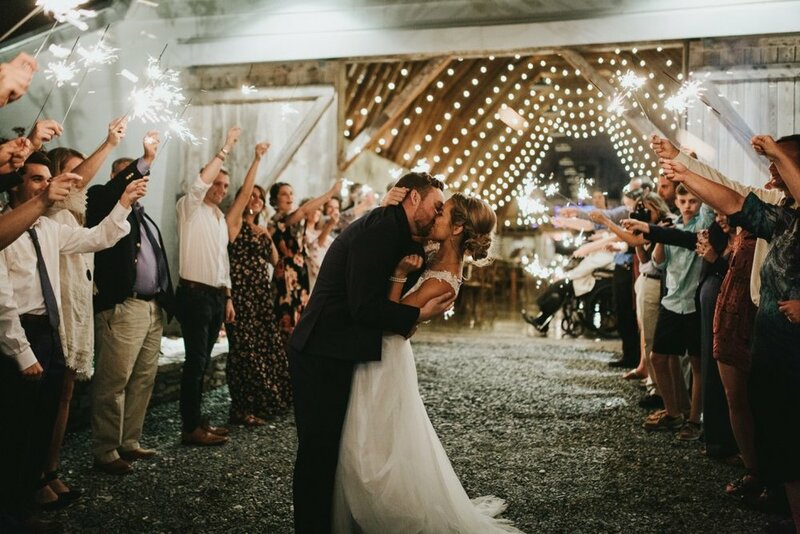 Check out these these sigh-worthy ideas that would look amazing in your wedding in the Boone/Blowing Rock area of the High Country….Enjoy! for this steal worthy idea. Having an artist (or talented friend) sketch and then paint the scene of your wedding is such a unique and versatile idea and kills 3 birds with one stone. 1. Frame the original the finished product to forever remember your special day. 2. Make full size prints and have them framed for parents and other close family. 3. 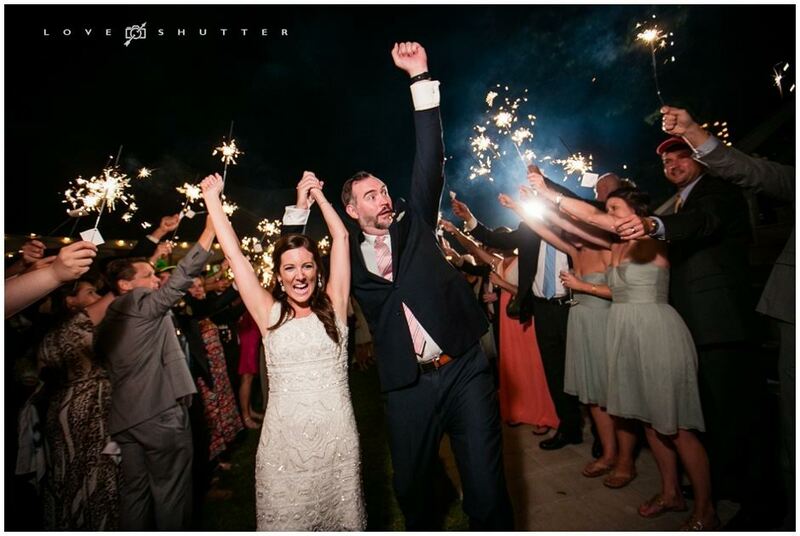 Have a print scanned into your computer and use the graphic to send out Thank You cards to all of your guests after the wedding. 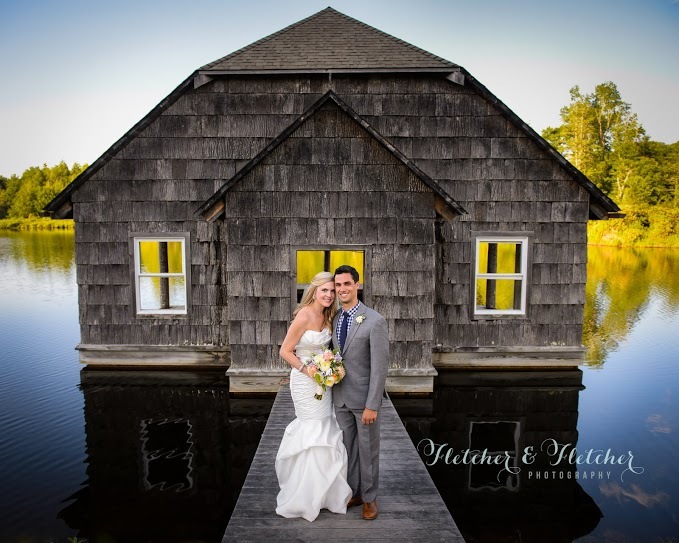 Photo’s are wonderful as well and you can always have one your favorite pictures immortalized on canvas after the fact but I love the feeling of authenticity that having a live artist present on your wedding day brings to the overall style of your ceremony. Where on earth is a more picturesque back drop than the Boone area of the NC Mountains??? 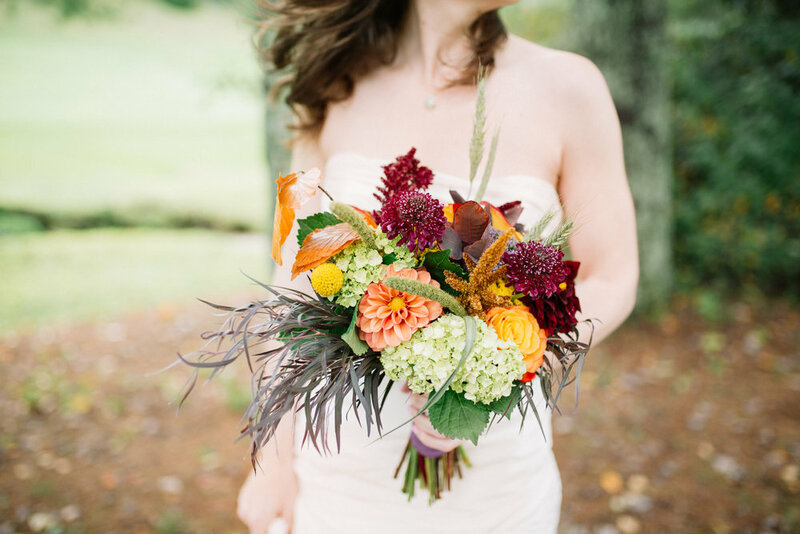 2011 color trends for your NC Mountain Wedding. 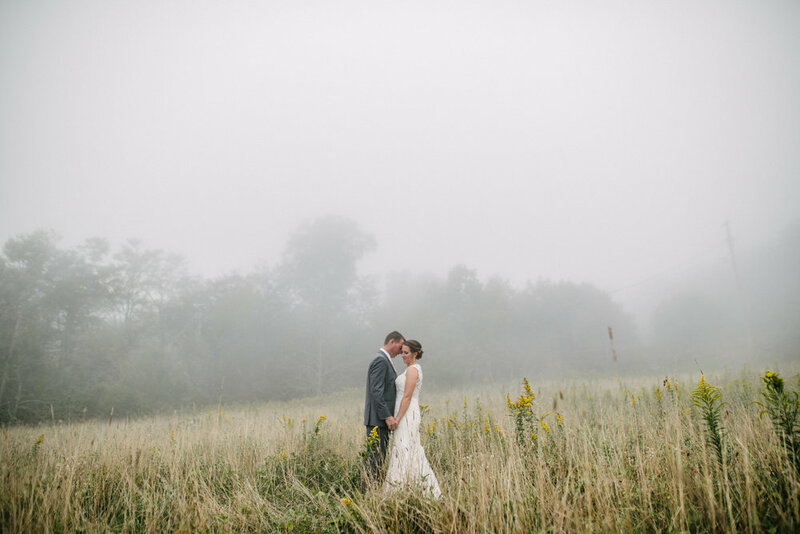 The Boone Area of the Blue Ridge Mountains of North Carolina provide a picturesque backdrop for a beautiful wedding in any season. I find that most brides already have some colors in mind for their wedding without following the “latest trends” but it’s always fun to look and explore different avenues. I love this palette from Michelle Mospens at My Personal Artist. Michelle does tons of research for her wedding sketchbook and this is only one of the palette’s that she has put together for this coming year. : Color wise, spring comes late in the High Country. The trees don’t get completely lush and green until at least May here. My advice if you’re planning your wedding for April or May is to go with a soft palette and combine delicate touches with a lot of texture. : Oyster grey with pear and scallop shell. Carrot orange with moccasin. Persian green and antique white. Summer is so so GREEN in the mountains. I love using vibrant colors and mixing in some additional greens to magnify the natural surroundings. Jewel tones are still “in” so don’t be scared to go bold for summer! Tyrian purple and pear. Jewel tones mixed with light or apple greens and neutrals make for a dreamy yet eclectic atmosphere. You have to be really specific with your blues this time of year or you’ll wind up competing with your background. Not to say that you should shy away from them. Teal or agate blue with apple green and some yellows or oranges can look fantastic! Everyone knows that Fall is gorgeous in the NC mountains. Folks travel from all around just to gaze at the colors in the Boone area. You can use colors in two different ways in the fall. 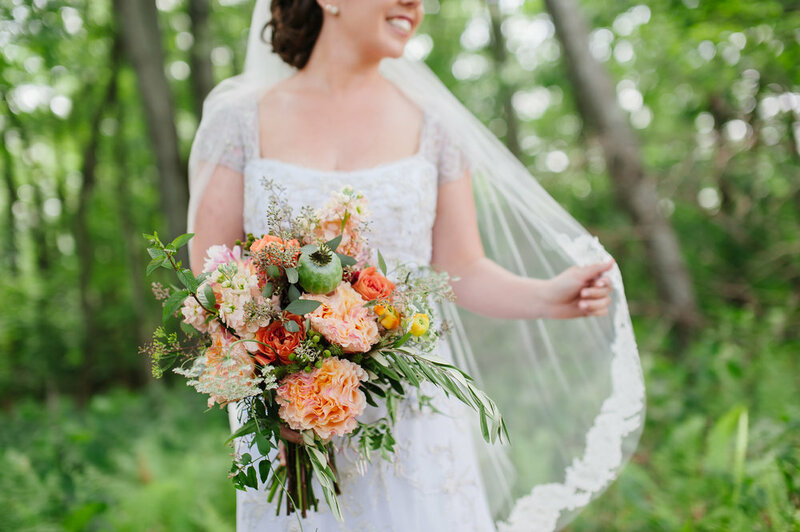 Either use a lot of greens and neutrals and one accent color to give the natural backdrop center stage or… piggyback on the leaves and use a few “fall colors” to give your event an autumn theme. : Dark chocolate and carrot orange. Olivine green, moccasin and dark tangerine. Pear and mocha taupe. Texture and greenery. The mountains are sparse yet dramatic in the winter and early spring. 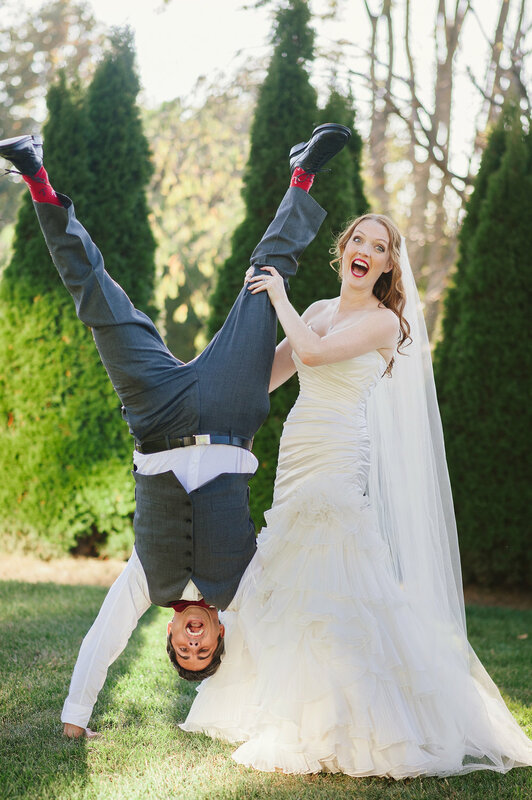 If your wedding is during the holidays thinking about incorporating some rich reds and greens and don’t be scared of metallic golds and silvers. Also, winter is a good time to use those shades of blue since you’re not competing with the green all around you. : Sangria, oyster grey and grey taupe. Tyrian Purple and scallop shell with some green. Persian green, asparagus and antique white. have fun, use your imagination and “own it”. 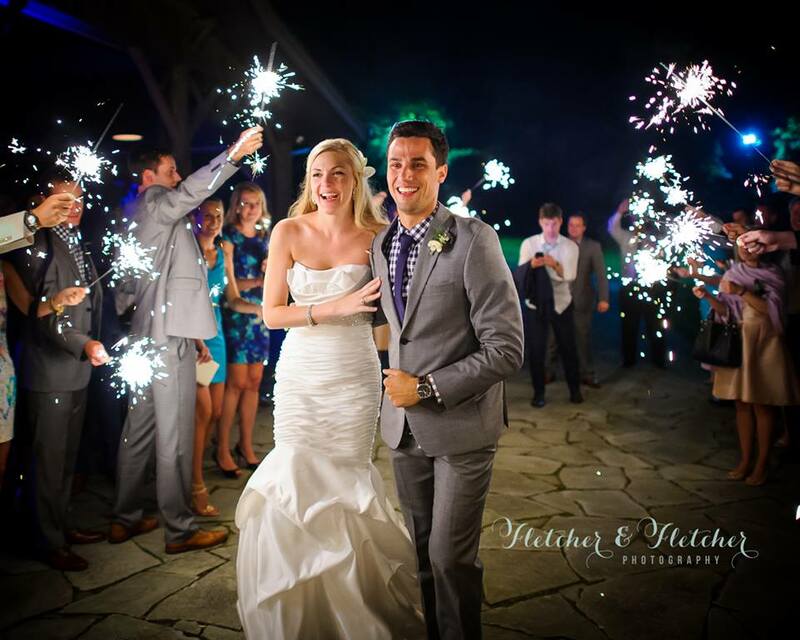 That being said, it would be difficult NOT to have a beautiful wedding in the NC High Country.